By now, you've no doubt heard me complain (ok...whine) about how long and hot Summers are here in Central Texas. One of the best keep-cool remedies that we enjoy down here is ice cream and frozen treats! They taste great, and they're the perfect way to cool down in a hurry. Over the course of this Summer, I've tried some fabulous frozen treats...and today I'm sharing my Great Eight ice creams and frozen treats with you! Summer's not quite over yet...besides, we eat ice cream year-round at my house. I hope one of these delicious frozen treats finds its way into your shopping cart for the upcoming long Labor Day weekend! (1) Favorite Overall Ice Cream Flavor: Steve's Ice Cream Salty Caramel. This is hands down my favorite ice cream flavor that I tasted the entire Summer! Steve's Ice Cream is based in Brooklyn, and they've been making amazing ice cream for 40 years. In fact, they're one of the originators of the mix-in concept! Steve's Salty Caramel is pretty much the perfect combination of creamy, sweet, and salty. It features rich sweet caramel ice cream and a sea-salted caramel swirl. This ice cream is downright addictive. It's perfect "as it" right out of the container with a spoon...but I also love topping it with some salted peanuts and a bit of whipped cream for an extra-special treat. If caramel isn't your thing, they have a wide variety of gourmet flavors. Steve's Ice Cream offers convenient online ordering. They're also available at select grocery stores around the country, and you can use their online Store Locator to find a location near you. Trust me on this: try this ice cream ASAP! (2) Best Overall Gourmet Ice Cream Company: Phin & Phebes. 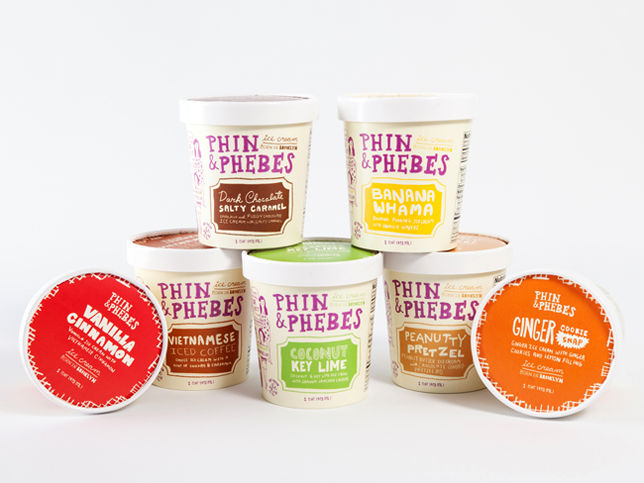 My favorite overall ice cream brand that I discovered this Summer was Phin & Phebes. They're also based in Brooklyn, New York. They offer ice cream in lots of fun and creative flavors, including Coconut Key Lime and Peanutty Pretzel. The ice cream is made with all-natural ingredients, and every flavor is created in a home kitchen before it's created on a larger scale. I loved how rich and creamy Phin & Phebes' ice cream is...and how vibrantly they are flavored. My favorite flavor is the deceptively simple Vanilla Cinnamon, which is flavored with robust Vietnamese cinnamon. I loved making ice cream sandwiches with this ice cream...it was perfect sandwiched between homemade oatmeal-craisin cookies! Phin & Phebes ice cream can be ordered online...and it's also available at select retailers nationwide. (3) Best Adults-Only Ice Cream: Mercer's Dairy Wine Ice Cream. What would you say if I told you that there's a company that makes an adults-only wine ice cream? You might think it's a dream come true...and it is! Mercer's Dairy is located in upstate New York, and they've created a delicious line of true wine ice cream...not ice cream that merely tastes like wine. Their rich ice cream contains 15% butterfat and up to 5% alcohol by volume. That means you have to be 21 and up to purchase this ice cream! 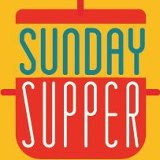 Flavors include Cherry Merlot, decadent Chocolate Cabernet, refreshing Peach White Zinfandel, Port (my personal favorite), Red Raspberry Chardonnay, and Riesling. The wine flavor is subtle, but you can definitely taste it. The Port flavor makes an excellent dessert topped with fresh berries and drizzled with a bit of port wine on top! 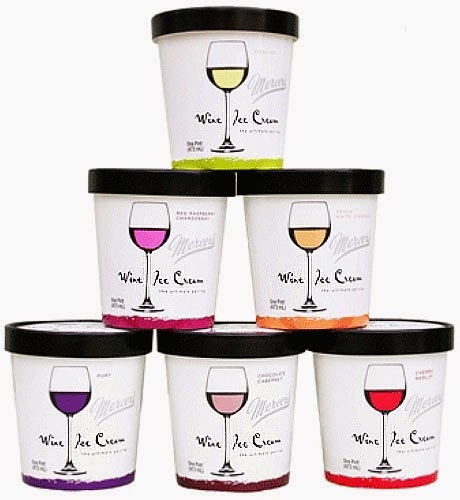 Mercer's Wine Ice Cream can be purchased online. You can also visit the online Store Locator to find a store near you that sells this unique ice cream. (4) Best Adults-Only Hand-Held Treat: BuzzBars. While we're on the subject of adults-only frozen treats, I have to share BuzzBars with you. 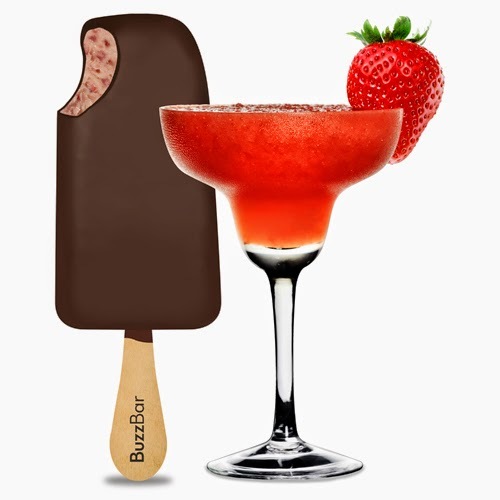 These are ice cream and sorbet bars that are infused with alcohol. They're almost like a creamy cocktail on a stick...and they're really fun for serving at parties! BuzzBars come in a variety of fun flavors, including Bourbon St. Chocolate (chocolate ice cream + whiskey), Citrus Berry Drop (raspberry lemon sorbet + lemon vodka), and Blitzed Berry (strawberry ice cream + rum). 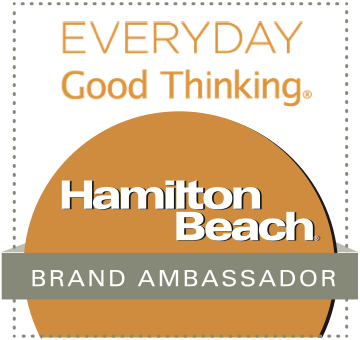 All of the flavors that I sampled were delicious -- and more potent than you might think! My favorite flavor was the Blitzed Berry, which is dipped in chocolate. If you love chocolate-covered strawberries, this is the flavor for you! BuzzBars contain approximately 2.8% alcohol, so you have to be 21 and up to purchase them. BuzzBars can be purchased online, and they can be found at various stores across the country. My Texas readers can purchase BuzzBars at most Specs locations. 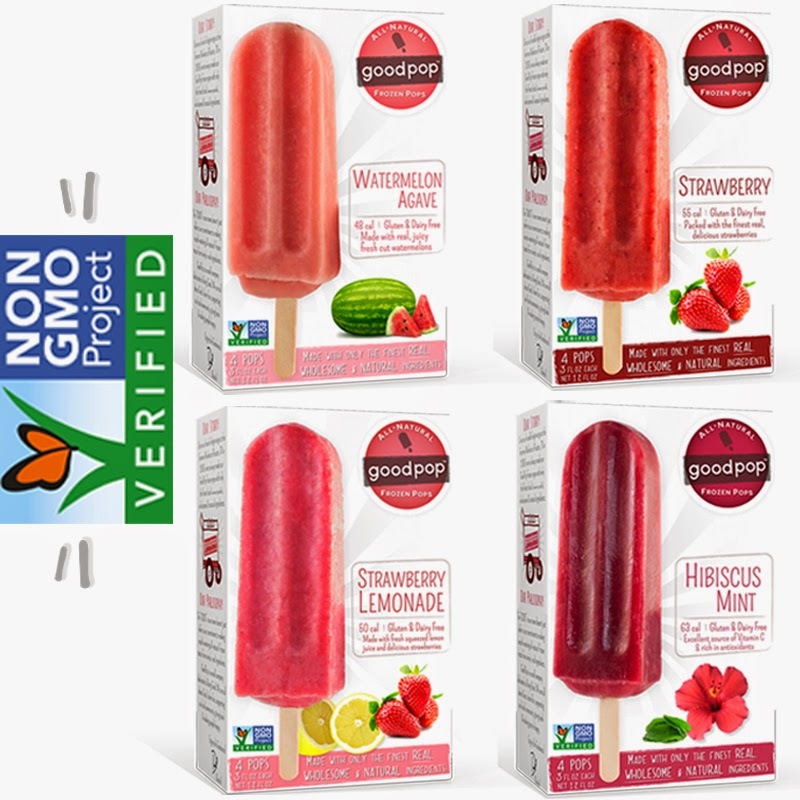 (5) Best Healthy Frozen Treat: Good Pops. My favorite healthy frozen treat this Summer is Austin-based Good Pops. These frozen pops are bursting with flavor, and they're good for you too! 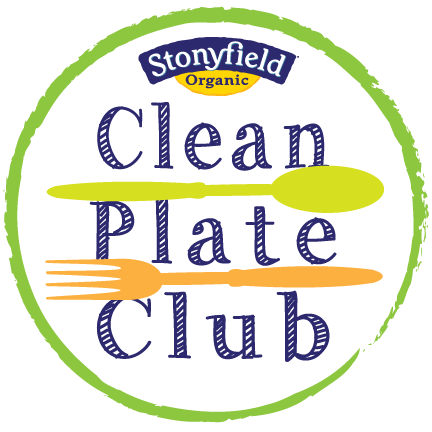 They're made with natural, non-GMO organic products that are locally sourced. Each Good Pop contains less than 100 calories, and they're sweetened with organic cane sugar and organic agave. They never use high-fructose corn syrup. Good Pops come in a variety of fruit-based and creamy flavors, including Watermelon Agave, Coldbrew Coffee, and Banana Cinnamon. I loved every flavor that I sampled, but my personal favorite is the unique Banana Cinnamon. I never realized that banana and cinnamon would pair so perfectly in a frozen treat that contains less than 100 calories! Good Pops are sold in convenient 4-pack boxes at grocery stores in Texas and beyond. If you can't purchase Good Pops locally, they also offer convenient online ordering. 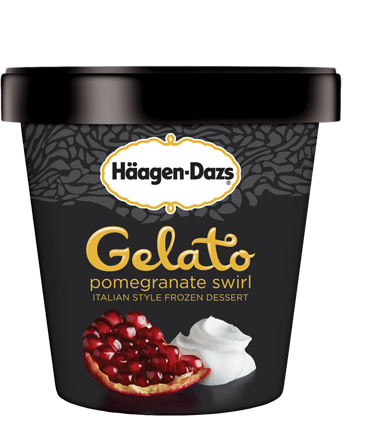 (6) Best Gelato: Häagen-Dazs Pomegranate Swirl Gelato. This is the very best gelato that I tasted this Summer! If you've never had gelato before what are you waiting for?!?!? Gelato is ice cream's sultry Italian cousin. Gelato is ultra-creamy because less air is incorporated as it's churned...giving it a an almost velvety smoothness. This Pomegranate Swirl flavor combines tart pomegranate gelato and sweet, creamy vanilla gelato in one container. Each bite is a little tart, a little creamy...and all good! I used most of my pint to create Stars and Stripes Gelato Ice Cream Sandwiches for our July 4th celebration. They were very popular, and would also make a fabulous Labor Day treat! Other delicious flavors in this line of gelato include Sea Salt Caramel and Pistachio. 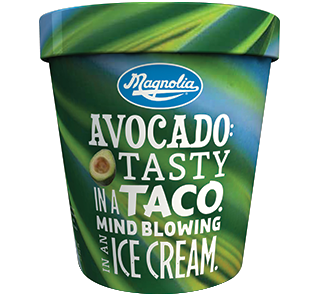 (7) Best Exotic Ice Cream: Magnolia Ice Cream. I discovered Magnolia Ice Cream this Summer, and I quickly became a fan. Their ice cream comes in flavors that you don't typically see...but I promise you'll love them! The flavors that I tried include Avocado, Coconut, Lychee, Mango, Purple Yam, and Thai Tea. Magnolia's flavors are definitely not the same old vanilla! I loved their tropical-inspired flavors, especially the Avocado and Purple Yam. The Avocado ice cream was a beautiful light-green shade, and the avocado gave the ice cream an ultra-creamy texture. The biggest flavor surprise for me was the Purple Yam ice cream. It had the most gorgeous purple shade, and it tasted like sweet potato. After the first bite, I was hooked! Finally, I used the Coconut flavor to make some amazing non-alcoholic pina colada shakes for dessert one evening. All I had to add was some fresh pineapple chunks and a bit of milk...then blend! To find Magnolia near you, check out their convenient online Store Locator. 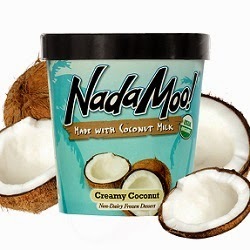 (8) Best Dairy-Free Ice Cream: Nada Moo. This Summer, I had a chance to try this line of yummy dairy-free ice cream. Nada Moo is the perfect for those who can't eat dairy, but everyone else will enjoy it too! Nada Moo contains no dairy, eggs, or sugar...but it's creamy and delicious. Instead, they flavor their ice creams with coconut milk, tapioca syrup, and agave nectar. Nada Moo products are also organic, gluten free, and fair-trade certified. That means you can feel good about eating this ice cream! I tried several Nada Moo varieties, including the Creamy Coconut and Vanilla Cha-Cha-Chai. The flavor is good...light and slightly creamy. I was partial to the Creamy Coconut since it's made with coconut milk. Nada Moo is perfect for when you want a healthy indulgence. You can find Nada Moo at many major grocery chains across the country. BONUS: THE Best Ice Cream Scoop: Zeroll Model 1020. I scooped a lot of ice cream this Summer, and I couldn't have done it without my new Zeroll ice cream scoop. I'm not kidding when I say that this is the best ice cream scoop I've ever used! 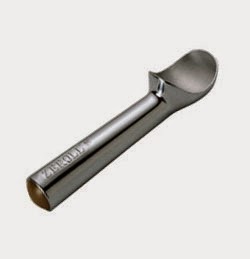 Zerroll has been making ice cream scoops and flat spade ice cream servers since 1935. They're designed to do the job right, and they're made to last. This aluminum ice cream scoop has a convenient heat-conductive fluid sealed in the handle. The heat from your hand heats the fluid, which slightly warms the scoop. The end result is an effortless, perfect scoop of ice cream...no more struggling to scoop hard ice cream! My Zerroll scoop moves through ice cream like butter -- even straight from the freezer. To find a retailer near you that sells Zerroll products, visit the online store locator. Disclosure: The companies featured in this article provided me with product samples to facilitate a feature. 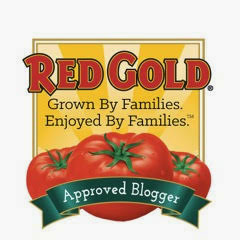 I only recommend products that I have tried myself and use in my own kitchen. All opinions expressed are my own. These 3 researches from large medical journals are sure to turn the conventional nutrition world upside down!